What do you want investors to say about your company? What should your pitch deck embody with every slide? We set out to find the answers via in-depth discovery calls with our previous clients. This is real data from real startups. Over the years we’ve worked with a lot of different startups in a lot of different industries. In many ways, these companies and founders are wholly different from each other. But in others ways they are very much alike. In fact, there are certain common threads that we’ve seen in many of our pitch decks. By no means is this analysis exhaustive or final—we’re adding to it every day. But we’ve identified several interesting trends. So let’s dive in! We analyzed a representative selection of the clients and pitch deck projects we’ve worked on over the past few years. These clients differ across business modes, industries, and desired funding. And yet, we’ve found some interesting commonalities in their desired messaging for investors. The “Aha” Moment/Why Has This Never Been Done Before? The top three desired impressions were ROI, Transformative and Disruptive, and Unique Technology. A whopping 60% of our clients want potential investors to see that there will be a high return on their investment. This make perfect sense. Our startup clients know that profitability is a primary motivation for investors. About 53% of clients feel their business is transformative or disruptive to their industry, and over 46% think that their technology is unique and a powerful part of the value of their company. Since a full 43% of the companies we surveyed were B2B or B2C technology companies, this shows that technology companies feel that the capabilities, features, and uniqueness of their technology makes a big impact on the valuation of their companies. The most interesting response to our queries was “FOMO,” or fear of missing out. Around 20% of our surveyed startups said (often very specifically) that they wanted to impress upon their potential investors the importance of getting in on the ground floor. Otherwise, they will risk missing out on a big opportunity. This is an interesting message to pursue for your pitch deck. Blockchain, cannabis, and many cutting-edge technology companies are moving forward in a unique space. Often they are pioneers in entirely new industries. These startups want investors to think back—perhaps they passed on other companies that later went on to be successful. Chris Saaca, a well-known Silicon Valley angel investor, famously passed on AirBnB thinking that “it was dangerous,” and that facilitating people staying in strangers’ homes was too risky. FOMO is real in the investing world, and you can capitalize on it in your pitch. Companies in different industries face different kinds of competition, and they’re selling to different kinds of customers. As such, there was often some variation in desired messaging between industries. Of all our findings, these were the most enlightening. The highlights are below. B2B SaaS companies are decidedly focused on their investors having the “Aha moment” and wondering, “Why hasn’t this been done before?” Two-thirds of our clients mentioned these points. B2C app companies are a little less focused on “Aha moments.” They tend to care primarily about ROI, being a part of something big, and being transformative and disruptive. Media companies lean on their unique business models. This makes a lot of sense; the “standard” advertising business model of most print and online media brands is facing dwindling success. They are looking for ways to stand out. Real estate companies tend to want their investors to see their previous success and large ROI opportunity (67%). Real estate is one of the biggest industries in the world, with a HUGE amount of deal flow, so these companies use this as a clear selling point for investing. Cannabis companies are a growing segment of investment deal flow and a growing segment of pitch deck clients, as more states legalize medical and recreational cannabis. And with Canada as the first G7 country to announce recreational legalization, the impact on the investment scene will continue to be profound. Cannabis companies are focused on two things. Firstly, the ROI opportunity: demand is very high and supply is artificially low, due to long-standing bans and lack of legalized trade. Secondly, many of these startups have assembled a solid team to build their company. Since the industry is new to investors, this level of expertise is important—and comforting. Blockchain technologies are another emerging powerhouse in the startup investment space. They are VERY steadfast in their belief in “uniqueness of application” as a selling point. In fact, 100% of the companies surveyed called this point out. Medical companies are much less focused as an industry. Return on investment, being a part of something big, being transformative and disruptive, and previous success were all cited as desired messaging for investors. Food companies are equally unfocused, citing a solid team, unique products or technology, being disruptive, and looking to the future as key points to their success in funding. Not all startups are looking for the same amount of money.  At Pitch Deck Fire, we serve the full range, from clients who are just launching their first seed round all the way up to large Series B rounds. Businesses of different sizes, industries and stages can be looking for anywhere from a small $200K investment to get their concept off the ground to larger $2M+ investments to scale existing businesses to take them to the next level. Surprisingly, the funding tier can impact a founder’s desired messaging. Most commonly (a full 64% of the time), founders at the highest funding tier want their investors to see their business as transformative and disruptive. Close seconds to this were Unique Technology (57%) and a Solid and Experienced Team (57%). Using an experienced team as a selling point stands out, because this did not show up in the top three of any other tier. Companies looking for more money are often further along in their business growth, and have built up a solid team that they want investors to value. It’s surprising that “previous success as a business” is not on the top of the list. It would seem to be a benefit of being a larger business, but only 35% thought this was something they should highlight in their pitch. The next-largest group of startups we surveyed were looking for what we’d call a “moderate” amount of money, in the $500K-$2M range. This is often a seed or series A round. A full 75% of these startups wanted their investors to see the high potential for a strong ROI, and the large size of their market opportunity. A close second, 58%, wanted investors to feel like they were a part of something big, something that might have larger social or worldwide impact. Of all three tiers, the this group often cited optimistic, forward-thinking views on their companies, and what they could accomplish with early investment. Interestingly, the most variation was at the lowest funding tier. There was no clear winner in terms of the “top thing people wanted their investors to think.” The focus was a bit all over the place. Top answers were, in no particular order: ROI Opportunity, a Solid Team, Part of Something Big, Unique Technology, Transformative and Disruptive, and Unique Business Model. Another odd finding of this group: things like having an “Aha moment,” investor FOMO, and previous success were never cited as desired messages for investors. That’s great, you’re thinking, but what does all this mean? Glad you asked! For one thing, we hope this gave you some ideas about the current strengths and potential of your own company. What would you want to emphasize in a pitch? Think about your audience, their wants and needs, and how your company meets those needs. Overall, focusing on one or two important messages is the first critical step to ensuring that your pitch deck is effective.